The ninth sphere on the Tree of Life is the Circle of Yesod: the sphere of the subconscious mind. 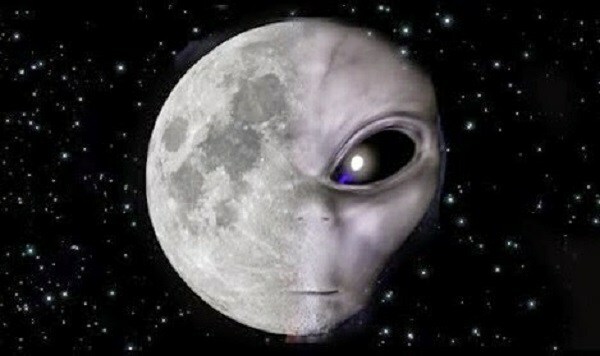 This is the sphere of the Moon. We journey into the subconscious mind via the “ether,” the very essence of mind and matter. Ether is the fifth element, which stands above the four elements of matter: fire, water, wind and earth. Yesod, the sphere of ether, receives transmissions from all the other spheres, transforms the information, and in turn, transmits it back to matter: our physical thinking being. As such, our material world is trans-formed through the vehicle of our subconscious mind. Malkuth consists of the four elements precipitated within a fifth, which is the crystal retort of alchemy. The four elements are to be found below the moon, while the fifth is to be found above it. Anything that is found above the moon is either the fifth essence or that which is part of it. The ether and the firmament are two parts of the fifth element with seven luminous bodies called the planets. In the firmament there is an infinite number of fixed stars. All the stars, both planets and fixed stars, have been formed by the fifth element, and not the other four. Malkuth. The Tenth Sephira is Malkuth, “The Kingdom” and “The Bride”. Malkuth has been also called “The Holy of Holies” and represents “the World of the Ultimate Becoming”. Scriptures says; “For as Jonas was three days and three nights in the whale’s belly: so hall the Son of man be three days and three nights in the heart of the earth”. Fire is the One Only Thing, the Undivided Light. from which all Is derived. Fire is energy and energy Is matter. This most subtle Fire Is variously called Celestial Fire. Heaven. Universal Fire. Astral Gold. Divine Will, and many more. it is described as the purest grade of fire; not burning, but gender invisible and known only by its operations. It is the source of all other forms of fire and its visible representative for us is the Sun. Remember, there is the “Sun behind the Sun,” or spiritual source of which our visible star is condensed. This Celestial Fire is said to have two main aspects, the Universal and the Particular. The Four Elements by their continual action project a constant supply of seed to the center of the Earth. where it is digested. and whence it proceeds again in generative motions. This is the fountainhead of all things terrestrial.° The Seed. which is a product of the Four Elements is projected in all directions from the Earth-center. and produces different things according to the quality of the different places.’ As the Celestial Fire begins to coagulate or condense, it forms “an invisible most subtle humidity” as the Element Air. This process of Inspissodon or thickening continues and the Air condenses into the Water Element. then Water condenses into the Earth Element. The Fire trapped within (the Central Fire) now reflects and drives this process in reverse. The Earth volatilizes and becomes diickened Water. The Water volatilizes and becomes vaporous, and the Air becomes ratified into the Fire Element where it is regenerated by the Celestial Fire and the cycle begins anew. For the Christian Alchemist or Son of Adam to understand, as a Kabalist, as a Hindu listen, Patala, called the seven lower regions bila-svargas (“subterranean heavens”) are planets or planetary systems below or resident within the element of earth as states of superconsciousness resident in Malkuth, the Kingdom, which is the key to the medicinal powers latent in the shut entrance to the closed palace of the king. It is the reflection of the seven states of superconsciousness resident in the dark palace of matter, or realm of outer appearances, as degrees of subtlety as the forces resident within the form. These forces or worlds empower the stupor of man, desire, and the wealth, when purified it is the desire that forms the gold and jewels in nature, where light is shut up in matter eternally, and wherein the ageless state of eternal youth and the life conforms without diseases, in the Kingdom of the Philosopher’s Stone. Malkuth is the pure state. It is the invisible state of purity as a world unfamiliar to the Earth as a sphere of composting and reincarnating energies. It is rather its perfected state or heaven. It is the state that drives or rather draws the outer form towards its perfection or future state wherein the substance is graced by its immortal perfection “On Earth as it is in Heaven” beyond the state of imperfection and mortality. It is the essence of the future state of divinity where mortality finds faith and favor in its immortality that is a never-ending state that is changeless as defined by the Philosopher’s Stone. The excerpt moves on to instruct the reader in the best method to separate these principles from earth, the prima materia, or “first matter” from which the chymical opus proceeds. We are advised to take a portion of fresh earth, “which is sufficiently impregnated with the beams of the Sun and Moone and other stars” (p. 478). and to “divide it into eaquall pans measured” (p. 479). The three principles are then extracted by subjecting the prima materia to simple processes of “boyleing, filtrating, evaporating, congealing” (p. 479). recipes for each of which are then given. The final outcome of this work is the Philosopher’s Stone itself; this part of Coelson’s book is missing from Wigges’s manuscript.